Today’s exciting treat is… Volcano-Roasted Marshmallows! – Open bag, remove desired quantity of marshmallows. – Stick marshmallows onto the ends of your branch. – Insert branch into accessible crevice in volcano. – Wait approximately 20 seconds, and presto! You’ve got yourself some delicious roasted marshmallows to share with your friends. They just taste better when they’re volcano-roasted, don’t they? The Pacaya volcano, in happier, or at least more exciting, times. The first time I ever tried volcano-roasted marshmallows was when I visited Antigua, the picturesque, colonial gem of Guatemala. Antigua itself is full of surprises. During our short time there, we stumbled upon peaceful, organic vegetarian restaurants, great cocktail bars with views of the city and the surrounding volcanoes, colourful markets, and of course, the inimitable chicken bus. Gorgeous colonial architecture and cobblestone streets aside, the most striking feature of Antigua is that it’s ringed by some seriously impressive volcanoes. Although beautiful and very atmospheric, these volcanoes can occasionally cause problems, like last September when the Volcán del Fuego (Volcano of Fire) erupted, sending plumes of ash high into the sky over Antigua, to the terror of locals and the delight of tourists. 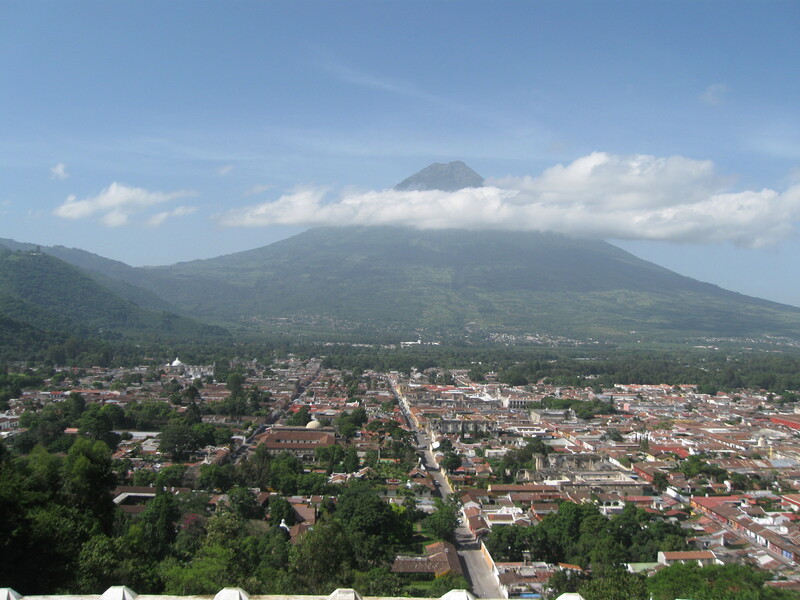 Antigua is surrounded by three major volcanoes: the Volcán del Fuego, the Volcán del Agua (you guessed it), and the Acatenango Volcano. In addition to these, there are several other active and dormant volcanoes scattered around the region. 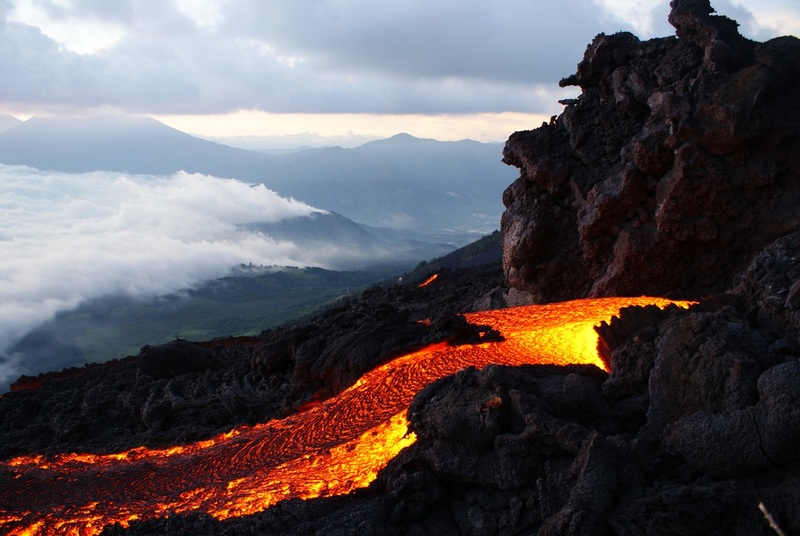 Alas, the easiest way to visit these volcanoes is to hire a tour. 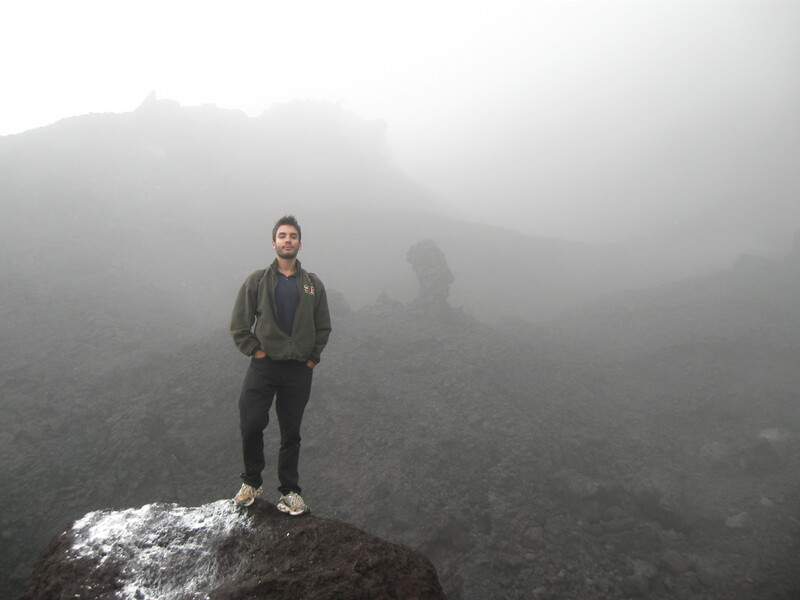 And so, one cool, crisp July morning in Antigua, we embarked a van with fellow tourists and were whisked away to the Pacaya volcano, a very active volcano between Antigua and Guatemala City. 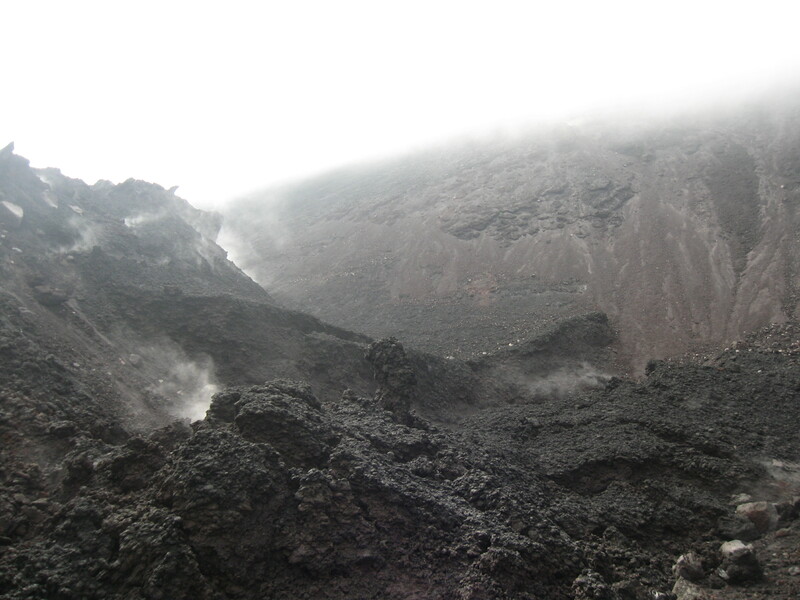 The last time that Pacaya erupted was in 2010, raining down ash and general chaos onto the surrounding Guatemalan towns. It’s recently starting erupting again this past January – so it’s a great time to visit, if you’re into that kind of thing. 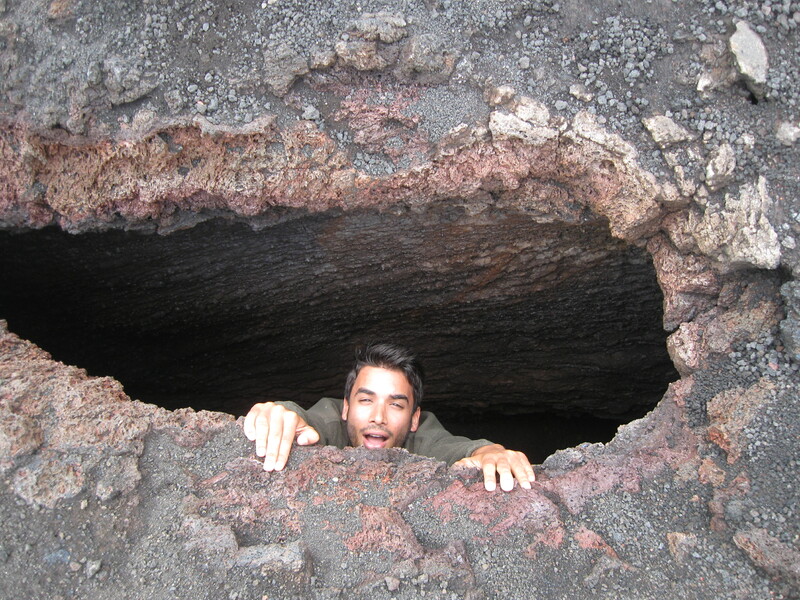 We started winding up the volcano in our van before eventually parking and continuing on foot. After walking for a while, enjoying the surrounding wilderness and the expansive mountain views, suddenly the terrain went from arboreous to extraterrestrial. Extending up before us, as far as the eye could see, was grey, barren rock, completely devoid of any flora or fauna. 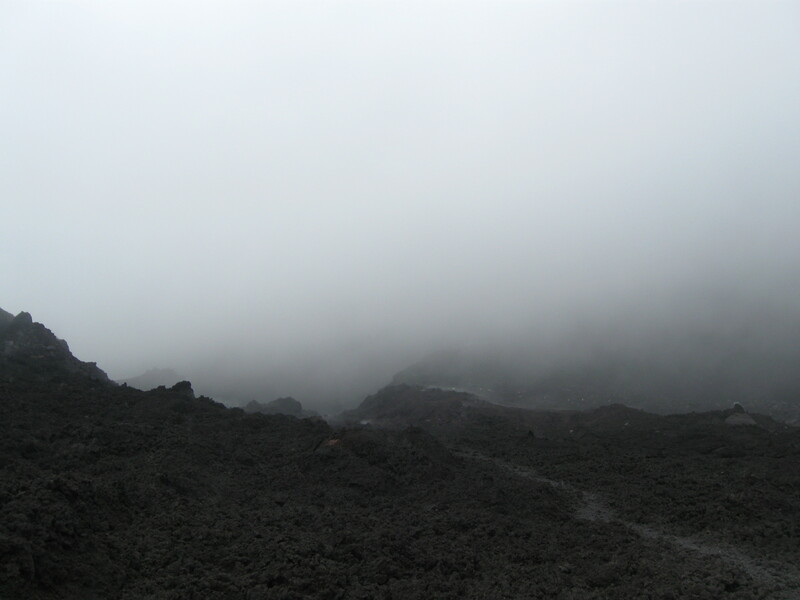 This otherworldly scene was accentuated by the perpetual mist drifting among the volcanic rocks. After walking along a path of gray rock, we eventually got to a small makeshift hut, the sign of which claimed the highest elevation of all of Guatemala’s shops. The friendly Guatemalan man within had on display some jewelry and other trinkets fashioned from the volcanic rock around us. I’m not usually huge on souvenirs, but I had to say that those would have made pretty good mementos. Beyond the hut, the mist grew thicker, rising from the cracks in the ground, and the grey rocks turned black, jutting out of the ground in twisted formations. We continued along this surreal terrain, which felt like walking on another planet. Eventually, our guides paused and revealed the marshmallow bags, and treated us to today’s aforementioned culinary feature using crevices in the volcanic rock, which emanated an intense heat. The volcano-roasted marshmallows were a perfect treat to reward our climb, which we enjoyed caught between gazing up at the volcanic rock rising before us to the top of the volcano and the majestic views of the landscape our elevation afforded us. 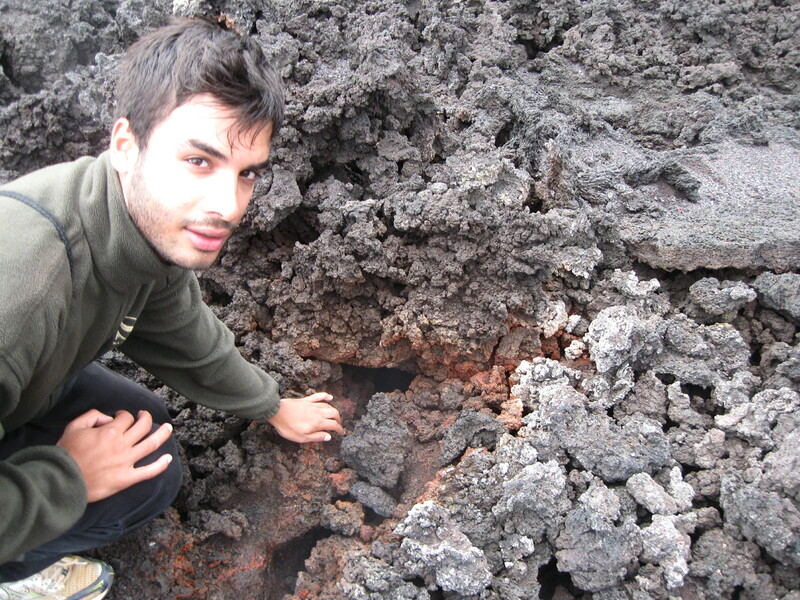 Volcanic crevices, perfect for warming your hands on a chilly morning. The most fascinating aspect of climbing a volcano is the quiet, unstated power which fills the air as one climbs the cooled volcanic rock, which perhaps only a short time ago was molten lava, flowing down and destroying everything in its path. Hisses of steam and the occasional wave of heat remind us that although dormant, volcanoes can erupt at any time, reminding us of our ultimate powerlessness before nature, no matter how hard we may try to control it. 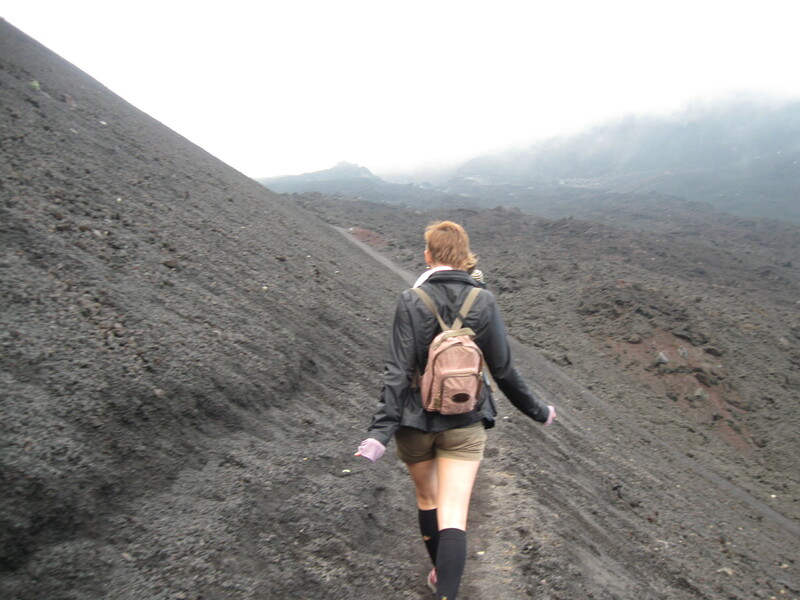 The volcanoes surrounding Antigua are an excellent place for one’s first volcanic experience, and, you’ll see: marshmallows really do taste better when they’ve been roasted by a volcano. Watch your step, or this could happen to you! 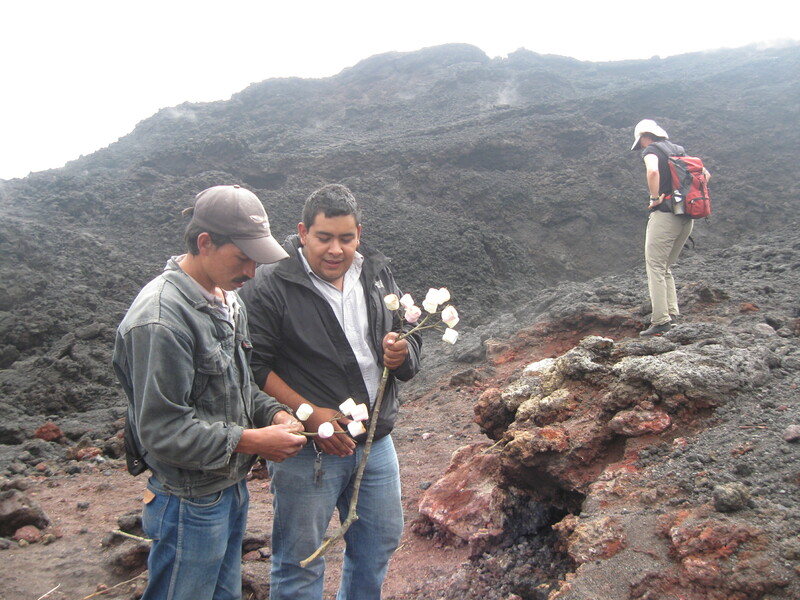 WHERE: Your nearest local volcano, but the Pacaya Volcano outside of Antigua, Guatemala, is a great place for your first experience. Guided tours are convenient, affordable, and can be arranged easily at any of the travel agencies or tourist outposts in town. WHEN: Year-round. If you’re lucky you might see some serious volcanic activity, as many of the volcanoes in the region remain quite active. If you’re unlucky, you might see some really, really serious volcanic activity and die. Good luck!!! HOT TIP: Bring a sweater.